In 1868, our family settled in the hills of northern Sonoma County. Originally from Sweden, these pioneers began raising Merino sheep on the steep slopes. Our first wine grapes were planted in 1884, beginning a tradition of farming that has spanned six generations and nearly 150 years. Our original homestead grew to 4,000 acres, but much of the land was lost due to the development of Lake Sonoma. 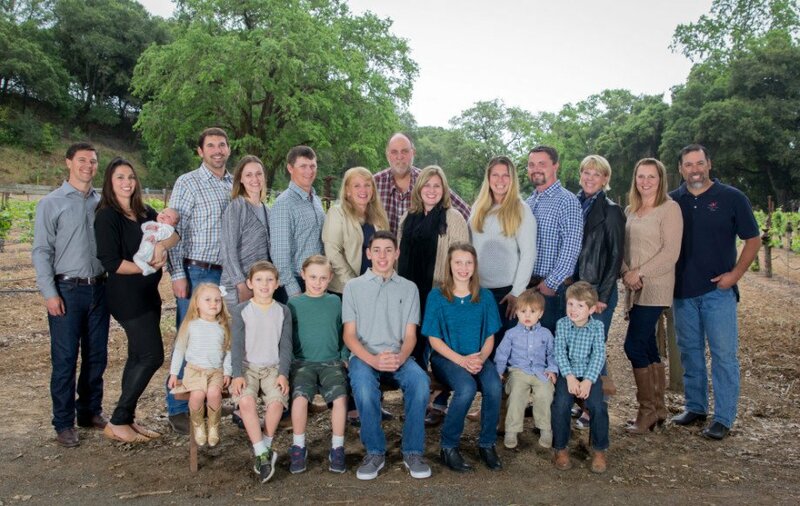 Our family regrouped and established a farm in Alexander Valley, then expanded here to the Dry Creek Valley. Our first wine was a 1998 Dry Creek Zinfandel, crafted by our founder and winemaker, Clay Mauritson. Today, we continue to farm more than 300 acres of wine grapes in Sonoma County, throughout the Dry Creek and Alexander Valley AVAs, as well as on the land that remains from our original ranch, now known as the Rockpile AVA. Visit the Mauritson Wines website for more information.